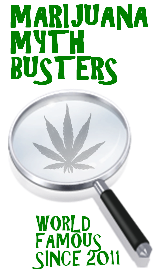 This entry was posted by Mythbuster on August 2, 2011 at 12:19 pm, and is filed under General Ganja. Follow any responses to this post through RSS 2.0.You can leave a response or trackback from your own site. Hi mate! Where can I find additional resources about this? Hello dude! I’ve just stopped by to thank you for this nice site! Keep going that way. ALOHA~~~ ANOTHER GREAT SPOT IS UP BY MAKAPU’U POINT AND LIGHT HOUSE. BUT DON’T TAKE THE MAIN TRAIL. YOU NEED TO TREK UP THE LEFT SIDE OF THE CLIFF, ON THE SIDE OF WHERE YOU CAN SEE WAIMANALO BEACH….AND YOU CAN HUNKER DOWN IN SOME OLD BUNKER IF YOU NEED A WIND BREAK DURING YOUR 4:20…. HAS A GREAT VIEW I MUST ADD. Awesome. Thanks for the tip. Maybe we’ll see you there on our next visit.